American Public Life Insurance Company began in 1945. It was a subsidiary of American Public Holdings, Inc. However, in 2000, the company went into reorganization mode and was merged with American Fidelity Corporation and APLIC Acquisition Corporation. American Fidelity Assurance Company is the subsidiary of American Fidelity Corporation, which was established in 1960 and took over American Public Life Insurance Company in 2000. American Fidelity Assurance Company provides supplemental insurance to education employees, auto dealerships, health care providers, and municipal workers within the United States. The company handles insurance for more than one million clients in 49 states. American Public Life Insurance Company offered various health insurance policies. The policies included cancer insurance, specified diseases, intensive care, accident insurance plans, medical supplement plans, and disability income plans. Under American Fidelity Assurance, disability, cancer, supplemental medical and long-term care insurance coverage is all offered to policyholders. American Public Life Insurance Company was often a choice for school systems, governments, county and parish governments, state governments, and commercial businesses. American Fidelity Assurance has maintained those relationships and still covers education employees, auto dealership employees, health care providers, and municipal workers. American Fidelity Assurance does not have agents. Instead, their representatives within the field sales positions act like agents. Within their territories, they meet with clients, determine their insurance needs, and sell the policies. Through American Fidelity Assurance enrollment is done in two different ways. Enrollment is either done in a group setting with the employer or one-on-one with a representative and the client. To report claims by phone, call (800) 662-1113. Through the American Fidelity Assurance website, you can establish an online account. Once logged into your account you can review your bill online, pay your bill online, and change insurance coverage. Forms can be downloaded, account information can be changed, and the status of your claim can also be viewed. Policy changes can be made on the site within the customer support section. Besides changes in coverage, Flexible Spending Accounts can be set up on the website within this section, or Dependent Day Care Accounts can be established to set money aside for day care. The Dependent Day Care Accounts work similarly to the FSA or HSA accounts. How do I get a claim form or how do I file a claim? How can I see the status of my claim? Can I pay my premium online and with a credit card? Additional questions and answers are available online in an effort to provide exceptional customer service. American Fidelity Assurance Corporation is involved in the community through a reading program with the Oklahoma City Thunder. The two organizations work together to go into the elementary schools to promote reading to the students. 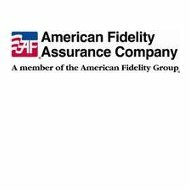 American Fidelity Assurance breaks their career opportunities down into two distinct fields: field sales positions and corporate positions. The field sales position is an account manager position outside of the home office. Within the field sales position are two separate divisions: the Association and Worksite division and the Education division. The two distinct divisions separate the client base. Further explanations of the job descriptions and divisions can be found within the site under the career section. Positions within the corporate headquarters can be found on the website by clicking on the “Find a Position Today” toolbox. Job titles and descriptions can be found by clicking on the job titles. You can also perform a standard job search with keywords. If you have already submitted your resume you can check your account once one has been set up, and log in whenever you want to reapply or check the status of a job. The website also provides information on what it is like to work at American Fidelity Assurance, benefits of working for the company, and the hiring process. By creating an account you can stay abreast of new job openings and be contacted by human resources should they discover a job opening that your qualifications or past job experiences match. American Fidelity Assurance is a family run company that maintains an A+ rating with A.M. Best. They have also been awarded as one of Fortune 500’s best companies to work for eight years in a row. In 2010, they were awarded the rating of number 35.